The Shipwright is the boat’s resident carpenter; he must always be ready to make the repairs that keep the vessel seaworthy. 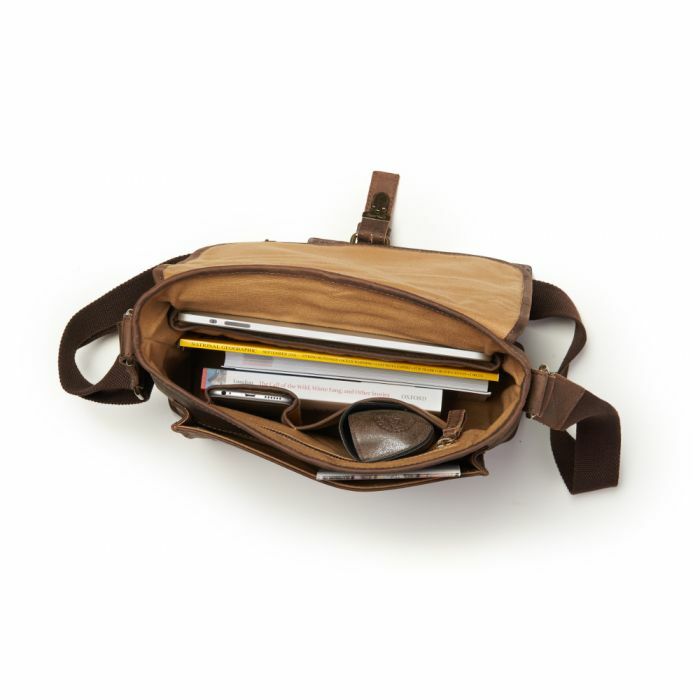 Our Shipwright leather satchel bag will prepare you for anything - just grab it and go. 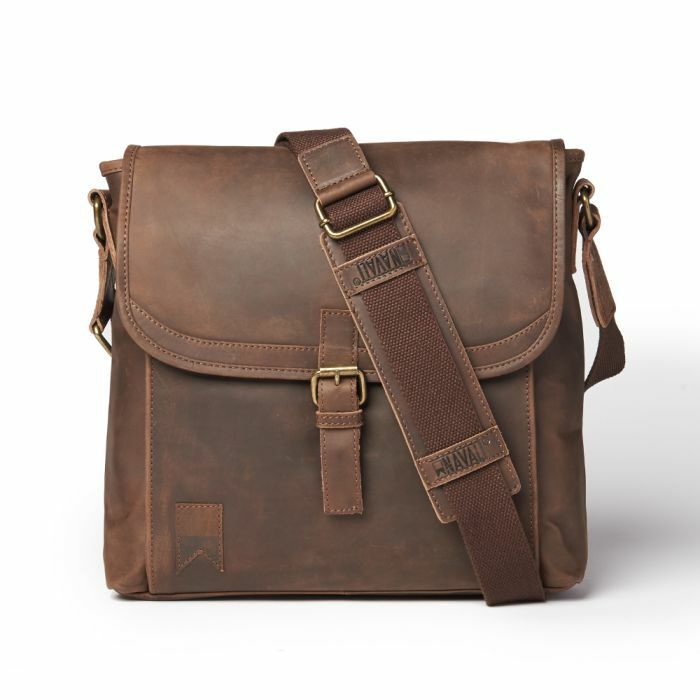 This small messenger bag combines genuine vintage full grain leather, antique brass findings and a durable cotton canvas interior. 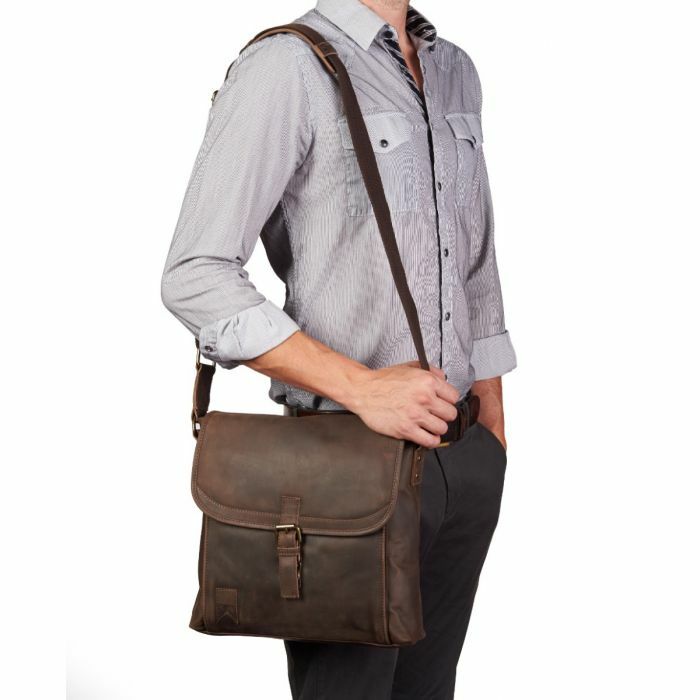 This messenger bag has a padded tablet compartment for added protection. 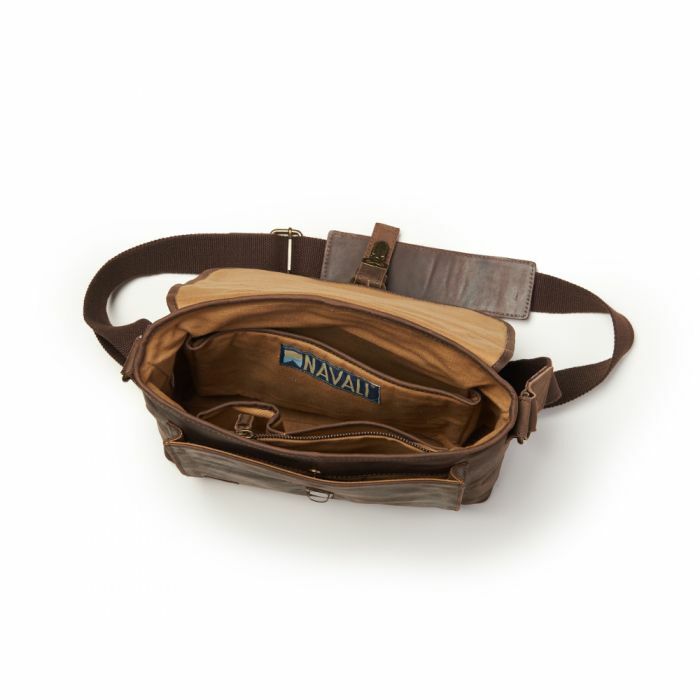 It's also equipped to carry a 13” MacBook laptop, a smartphone and any other essentials you may have, all secured with a snap-lock buckle. 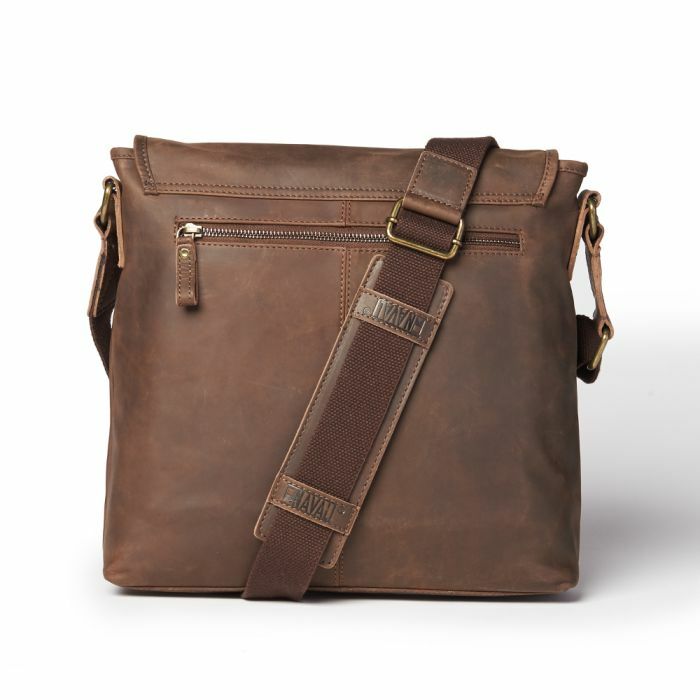 Whether you're sailing across the globe, exploring a new city or just walking around town, this messenger bag is the perfect companion for your next adventure.